an appreciation on its 50th anniversary. Last year I built a summerhouse (rain shelter!) in the far bottom corner of the garden. Here I can escape the drawing board and forget the pixels and slip on my writer’s cap and hope for a Dahlian muse to catch me unawares. During its construction my mind wandered to secret treehouse hideaways, built long ago by our gang. Over long hot summer holidays we laboured with borrowed and stolen bits of wood, rope and tools, pleasurably refreshed by the odd bottle of illicit cider. It was the wonderful rubbish-dump home of Stig that inspired me then, and still does to this day. The cosy feeling of safe seclusion that I experience when nestled in my new garden ‘den’ echoes the same thrill I had in those swaying tree tops. Stig has inspired current writers too. Eoin Colfer remembers the significant impression and warm memories that the book had for him, and in part attributes his continuing involvement in fantasy writing to Stig of the Dump. Around the turn of the 21st century Books for Keeps magazine started a fascinating diary written by psychodynamic counsellor Roger Mills, in which he charted his son Hal’s growing relationship with books. It ran from Hal’s birth up until he reached 12 years old. Mills said “if there’s one book that I would wish to share with Hal, when he’s old enough, it is without any doubt, Stig of the Dump.”He also said that of all the books he had read, incredibly few have stayed in his memory in the way that Stig has. Stig of the Dump was Clive King’s third book and was written whilst he had a full time educational job in Sussex. It was only in 1973, after his fourth published novel, that he became a full time writer, and he went on to write 12 more. King was very well travelled, absorbing locations and storing them for future use. Settings for him were hugely important and “should always be as authentic as possible,” and he vividly remembers childhood adventures with his three brothers in an old disused chalk pit. Obviously formative times that shaped many ideas for Stig. 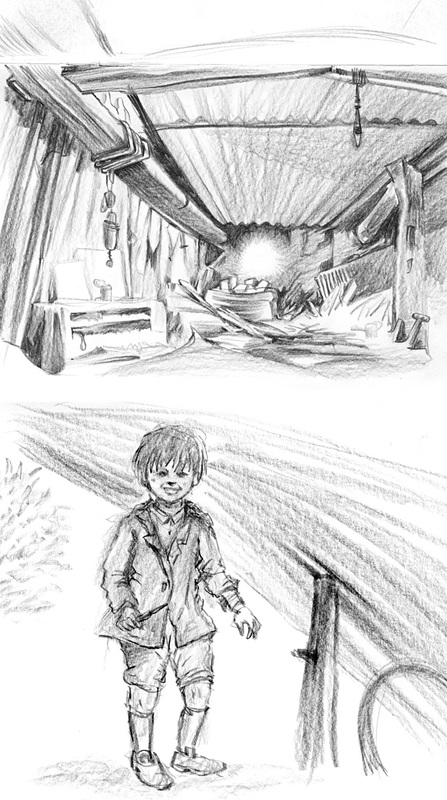 The narrative features Barney, a boy of about 7 or 8 years old who stays with his grandma in the country during the holidays. Not unexpectedly he becomes bored, but Barney doesn’t have to step through a wardrobe, follow a rabbit down a hole, or have a bang on the head to discover a different and more exciting world. Rather than be alarmed at this surprise encounter, Barney is intrigued, pleased, and prepared to be helpful. I realise now looking back that the warmth of my memories are also largely due to Barney and Stig’s unique relationship. Stig represents total freedom to Barney, he lives his own life without bounds, without supervision and is therefore an immediate attraction. Stig is his friend, his brother, his ally and his champion. Who wouldn’t want a friend like Stig, unknown to grown ups and someone who is free of any restrictive rules. Together they continue to build Stig’s shelter and they swap and delight in their respective technology. Barney gives Stig a penknife to use, which he immediately squirrels away, and Stig returns the favour by presenting Barney with a brand new flint blade. They are a team of two as they fight off the rough and tough kids from the ‘wrong end’ of town, the Snargets. They disrupt a stag hunt, and in true Famous Five style, even manage to thwart a couple of robbers that are targeting Barney’s grandma’s house. Fun and humour run throughout these episodes, but it’s maybe for the final two magical chapters that the book lives on in so many memories. On a warm, sultry and utterly still summer solstice evening Barney and his sister Lou can’t sleep, and so venture out to find Stig. 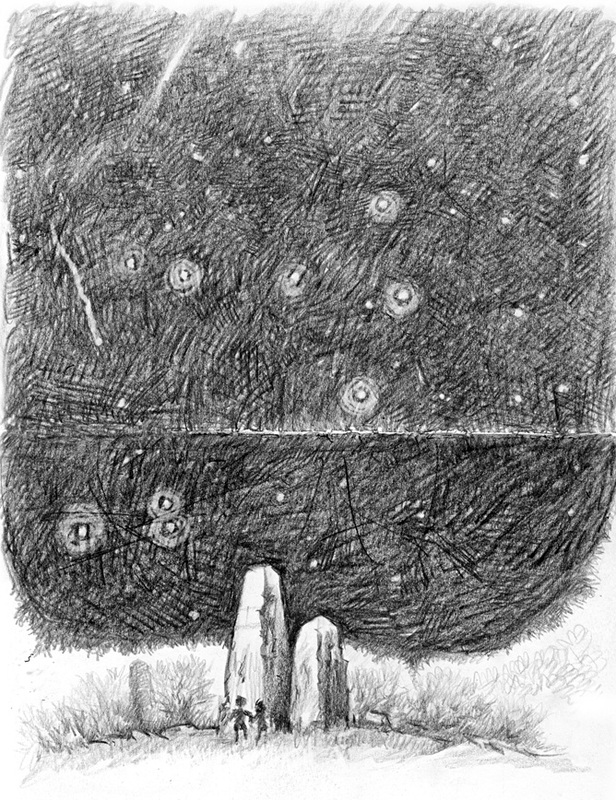 They miraculously, and totally credibly, slip back in time to witness and then to help Stig and all his clan in the erecting of a huge monolithic stone on the heath, similar to the ones at Stonehenge. Roger Mills describes this mesmerising scene “as an intoxicating mid summer night’s dream of great power.” I can remember walking home from school full of wonder with this magical final episode running round my head and wondering if this really had happened. It was so convincingly presented without any disappointing “and then they woke up next morning” get-out explanations. I think it was my first appreciation of the power of story to create a delicious and believable fantasy. So much for the words then, but there are pictures too! Though the book is a mere nine chapters long it is illustrated with 26 captivatingly simple line drawings by Edward Ardizzone. In picture books Ardizzone is best known for his Little Tim stories, and the inaugural Kate Greenaway prize (for illustration in a children’s book) was presented for his Little Tim all Alone, in 1956. Ardizzone became one of the most respected and most important of all 20th century illustrators and has been described as “the greatest illustrator that ever lived” by non other than Quentin Blake. Though not formally art trained, Ardizzone was an inveterate sketcher and attended evening classes. He went on to be chosen as an official war artist and illustrated almost 200 books. His line and wash illustrations have been described as mercurial, atmospheric, eloquent, dramatic, nostalgic. In his quick and simple line work for Stig much of the detail is left to the imagination, but still he manages to capture the remarkable relationship between the characters and between the characters and their place. Simple deft strokes belie the craft involved to bring such life into each scene. Last month I mentioned the book to an old school friend, one who was in the class when we had Stig read to us. He’s a headmaster now and he responded enthusiastically, and told me that in fact he’d chosen to read the chapter with the Snargets to his 7 – 8 yr old class only the week before, on World Book Day. Barney always wondered at the age of Stig “was he ten, twenty, a hundred, a thousand” he just couldn’t guess. I hope that Stig grows even older and continues to delight many more generations to come. The illustrations accompanying this article were inspired by my re-reading of Stig, which, co-incidentally, I also read on World Book Day this year.